Starring: Robert Duvall, Tommy Lee Jones, Danny Glover, Frederic Forrest, Robert Urich, Rick Schroder, Diane Lane, Anjelica Huston, D.B. Sweeney, Chris Cooper, Glenne Headly, Barry Corbin, William Sanderson, Timothy Scott, Nina Siemaszko, Steve Buscemi. Based on the pulitzer-prize winning novel of the same name by Larry McMurtry this four part T.V. mini series (amounting to approx 6 hours running time) is one of the best westerns ever made. 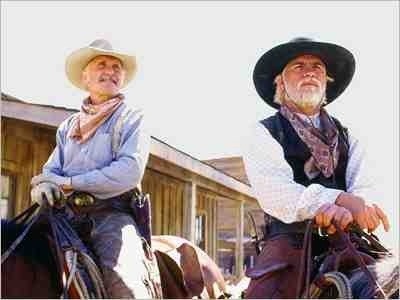 Two retired and aging Texas Rangers, Woodrow F. Call (Tommy Lee Jones) & Augustus “Gus” McCrae (Robert Duvall) have settled down in life in the mundane and unremarkable town of Lonesome Dove, Texas. After an unexpected visit and some fruitful information from their old colleague Jake Spoon (Robert Urich) they decide to take one last kick of their spurs and go on an arduous 3000 mile cattle drive across the plains to Montana, where they face new and old adversities. An absolutely epic western in every sense of the word and done in the grandest of scales. Director Simon Wincer had a pretty poor career before and after this but will always be remembered for assembling this cast of exceptional actors playing prodigious well written characters. Robert Duvall and Tommy Lee Jones are perfect in their roles with fine support all around. Frederic Forest is a particular standout as the native and very dangerous “Blue Duck”, who has some old scores to settle with the former lawmen. The man behind it all though is writer Larry McMurtry. His books are the perfect material to adapt and if you like this then it’s worth checking his earlier novels with Gus and Woodrow in “Dead Man’s Walk” and “Commanche Moon”. 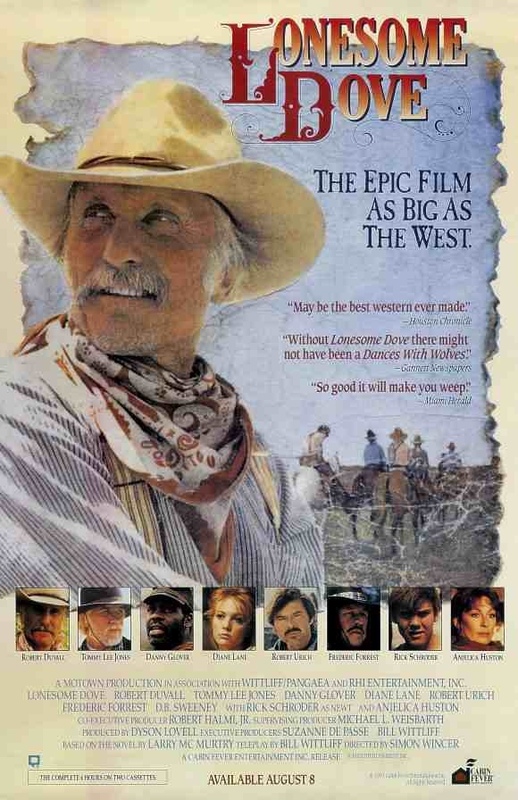 Vast, masterful and quite possibly the consummate western. This entry was posted on January 17, 2012 at 10:18 pm and is filed under Drama, Western with tags 1989. You can follow any responses to this entry through the RSS 2.0 feed. You can leave a response, or trackback from your own site.